Earlier this year during my Sport Coaching degree at Cardiff Met I was involved in Volunteer Zambia. I feel blessed and privileged to have been a part of such an inspiring and rewarding project. My role was based at the Olympic Youth Development Centre (OYDC) as a strength and conditioning coach. This intense, challenging yet enormously enjoyable role consisted of coaching various elite youth athletes within a number of different sport disciplines five days a week. It was an amazing experience. 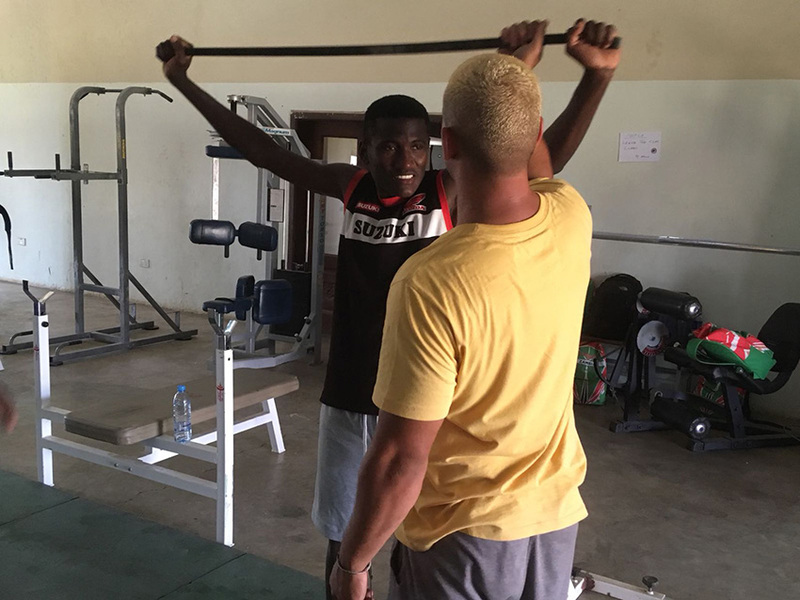 It was a privilege to work with some of Zambia’s top young athletes. The Zambian people are extraordinary. Even with little money and next to no luxuries, they are the most positive and optimistic people I have ever met. A huge highlight of mine throughout this experience was when walking down the dusty, busy streets of Lusaka, random strangers passing by would greet me, “mwli bwangi?” or “how are you?”. In response I would say “bweno bwangi” or “Good, thank you, how are you?” The friendliness, non-judgemental and happy attitude the Zambian people have towards life was so uplifting. Then we have “Zam-Time”, where Zambians are so laid back that even scheduled appointments often start 20-30 minutes late. For example, the buses have no time schedule – that’s just the Zambian way! During my placement, myself and my strength and conditioning partner Katie were allocated to train the U18s Male Hockey team and a Judo athlete named Simon Zulu. This training was crucial in their build up the to the 2018 Youth Olympic Games, in Bueno Aires. 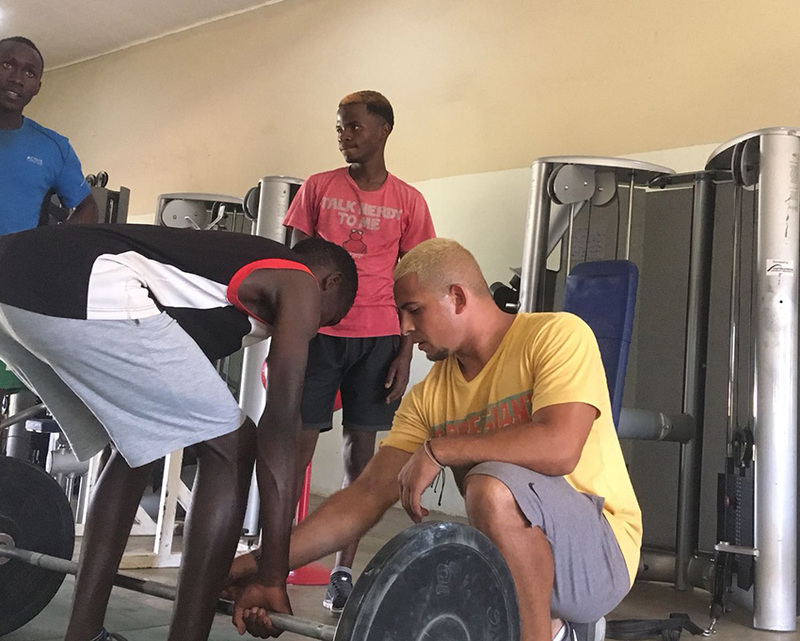 With little or no strength and conditioning training experience, we had the challenging task of training the athletes in both disciplines from scratch. Developing good relationships was key, so to begin with we were keen to watch them train before introducing ourselves, letting them know that we were there to support them in achieving their goals. We established a good connection from the start and found out that many of the guys had injuries due to overtraining and little rest from their previous tournament. With advice regarding these injuries given to the coaches, we then prepared a structured training programme for both disciplines. Due to “Zam-Time” and lack of funding, their training camp started around 2 weeks late. This was frustrating but an obstacle which we had to get over. 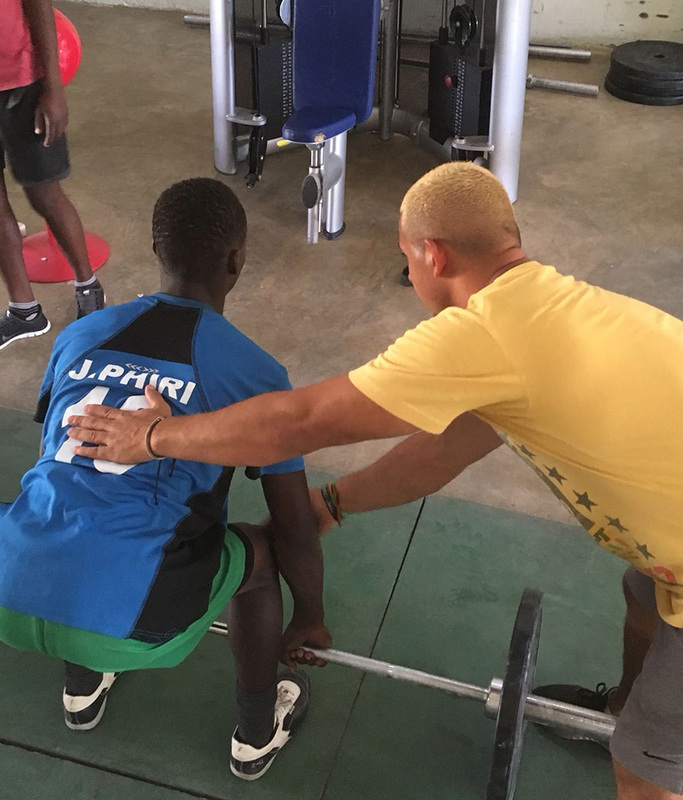 We continued to train the athletes as often as possible, and I coached many one-to-ones, including their star hockey athlete Bhwali Philemon, to help rehabilitate his knee injury. I also had the opportunity to train Daniel Mbewe who recently competed in the 2018 Gold Coast Commonwealth Games, reaching the semi-final of the 400m. The technique and strength of the athletes assigned to us vastly improved during camp, and we were happy with what they achieved by the end. Both the hockey team and Simon finished in 4th position in Argentina, which I was so proud to have played a part in. The talent of these athletes is immense, and the facilities that they have are good, but as you can imagine they are not as developed as some other countries. That’s why when Zambia beat Australia, the defending champions in Hockey, it was such an emotional and gigantic achievement! Similarly, Simon Zulu fought for the first time in a higher weight class and did very well when he came up against the world number 1. Having achieved our goal – to develop overall strength and power – Simon was able to compete at the highest level, just missing out on a bronze medal. I have no doubt that these athletes and other athletes training at OYDC will be successful and win medals for themselves and their country in future performances. Living on the edge at Victoria Falls! 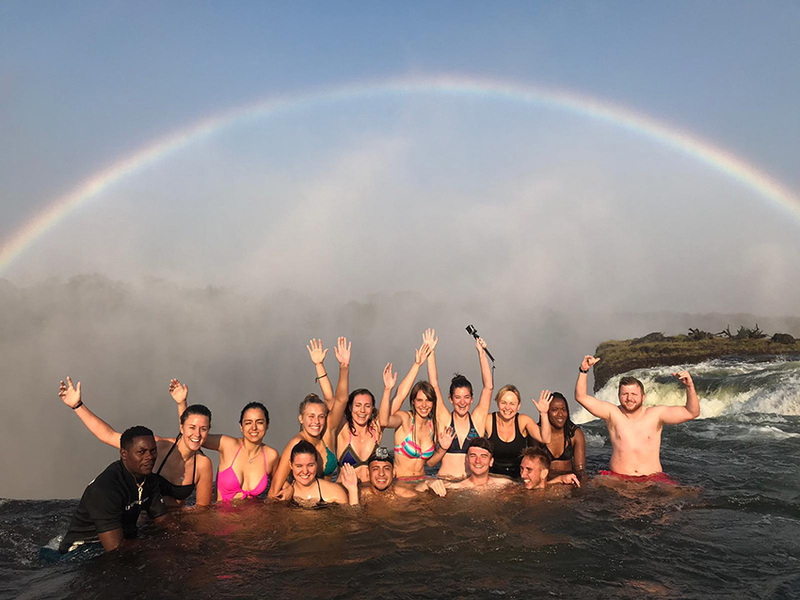 It wasn’t all work though – visiting Victoria Falls on the border of Zambia and Zimbabwe was a highlight. This is one of the 7 natural wonders of the world and it is nothing less than extraordinary. Our group also dared to try the Devils Pool experience, where we could literally lay over the edge of the waterfall! 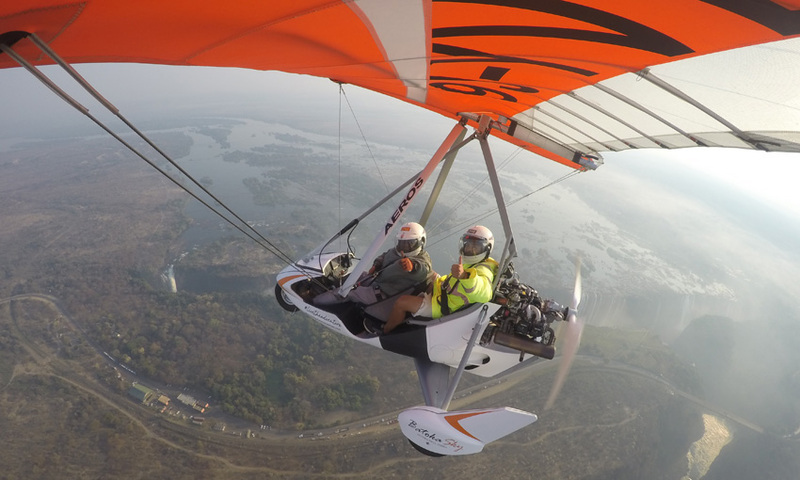 Soaring over Zambia in a microlight was pretty spectacular. 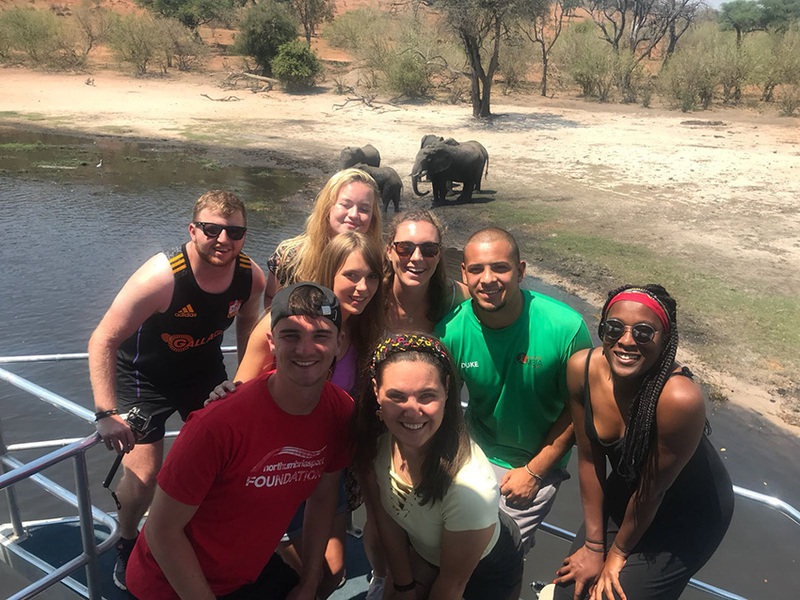 We also went on a Safari in Botswana, a microlight flight over the falls and on a bike tour with a lovely man and aspiring footballer called Wes. We got to see more of the real Zambia where locals lived. We saw poverty here and I will always remember stopping off at a small quarry, where many of the Zambian locals would work, filling wheel barrows of stone. One full wheel barrow could then be sold for only K80 which equates to about £5. A 60-year-old woman worked here, and I was shocked yet amazed at her ability to work such a physically demanding job in the roaring heat. I helped a couple of people as best I could and gave them the rest of my water, and at the end of the bike tour we all gave extra money so that Wes could buy these people some gifts and drinks. During my time in Zambia I was also fortunate enough to meet a barber named Reuben. As he cut my hair we naturally started talking, and he told me that he was an aspiring singer and songwriter. When I told him that I write poetry and lyrics too he was interested. A couple of weeks later, there we were recording the song at Chawama Blue Sky Studios, with the help of Benson, the producer. A few days afterwards I was allowed the day off from my placement to record the music video. We used the taxi’s speakers because we didn’t have our own – we had to open all of the doors and the boot to hear the song so I could follow the lyrics when recording the video! We also filmed on a speed boat using our phones as speakers which we could hardly hear – but in half a day we had a music video! I wrote the lyrics from my perspective of Zambia. I wanted to inspire and unite Zambians, relate to them as best as I could so that they would really understand and feel my message. Zambia has been the most eye-opening and life-changing experience. I love Zambia and their culture. 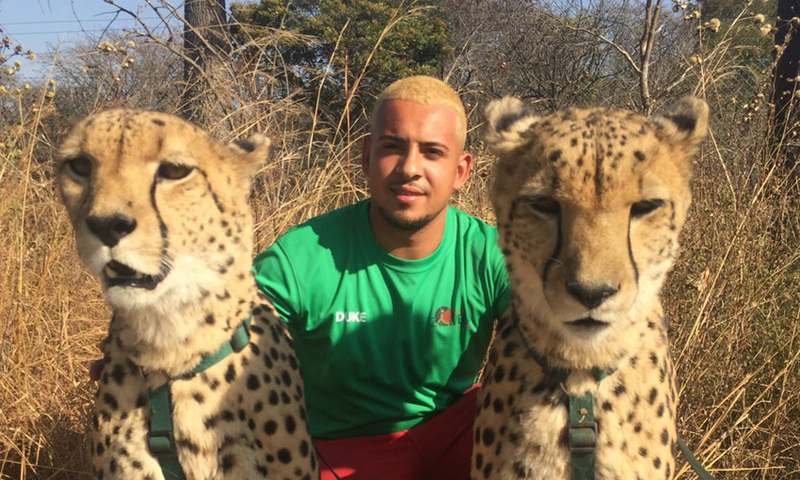 Tigwelizane – Let’s Unite!